I can’t wait for the next season of LITD! 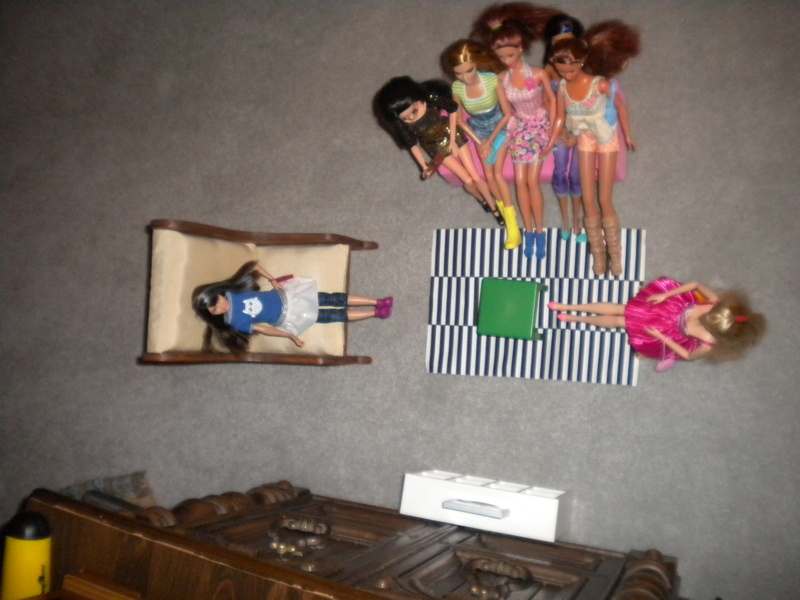 In the meantime, here are some shots of my Dreamhouse crew (see my earlier post Barbie and Time if you need a refresher on their identities) holding a screening of the LITD special The Amaze Chase while wearing their signature outfits from last year’s Toys ‘R Us exclusive LITD clothing pack. An overhead view of the home theater’s setup. Skipper claims the biggest, softest chair in the home theater so she can liveTweet the show in comfort. 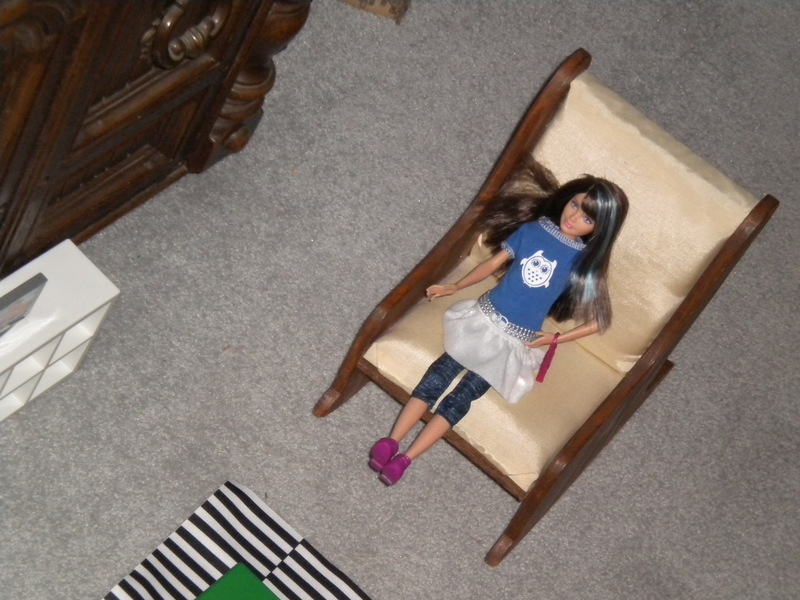 Barbie chooses the yellow chair-she thinks it’ll nicely contrast her pink dress. The rest of the girls cram onto the couch. You may not be able to see any more of Nikki than her legs and the top of her head-Teresa’s puffy ponytail is in the way-but don’t worry, she can see the TV just fine! Notes: Barbie has substituted the pink pumps from Pink Princess Audrey Hepburn for the set’s original shoes, which looked too similar to a pair of Barbie shoes I already own and would’ve hidden her ankle tattoo. Skipper is Amaze Chase Skipper wearing a Funville Sparkle Girlz (Barbie clones made in Hong Kong with a company address in the UK) dress (yes, the Sparkle Girlz dresses fit both Barbie and Skipper-they’re cut a little roomy) from Walmart with a Barbie purse and her original belt, leggings, and sneakers. The TV came from a Barbie-size Real Friends dollhouse sold at TRU about 10 years ago. My mom bought Skipper’s chair from a garage sale at my church. The rest of the furniture is the dollhouse furniture set from IKEA, minus the heart pillow-I tried to use the Real Friends TV stand but the TV wouldn’t balance on it, so I turned the IKEA bookshelf on its side and used it as a TV stand.